All information is made readily available to the reader. 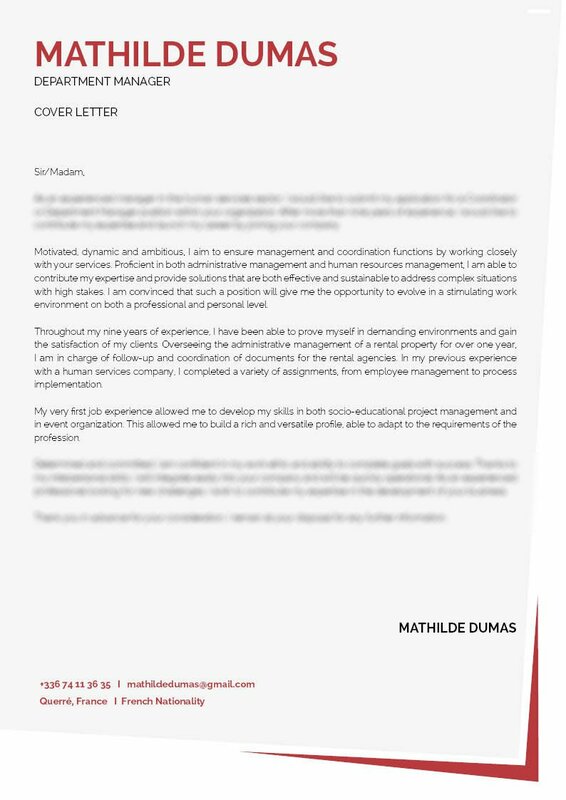 A great cover letter template, indeed! 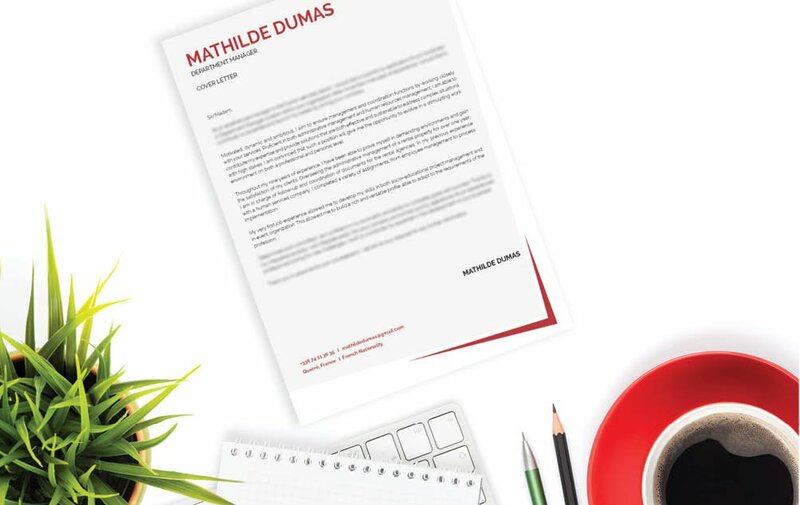 Cover letter to download "Service"
This template has a very elegant design that will get the attention of your potential employer! 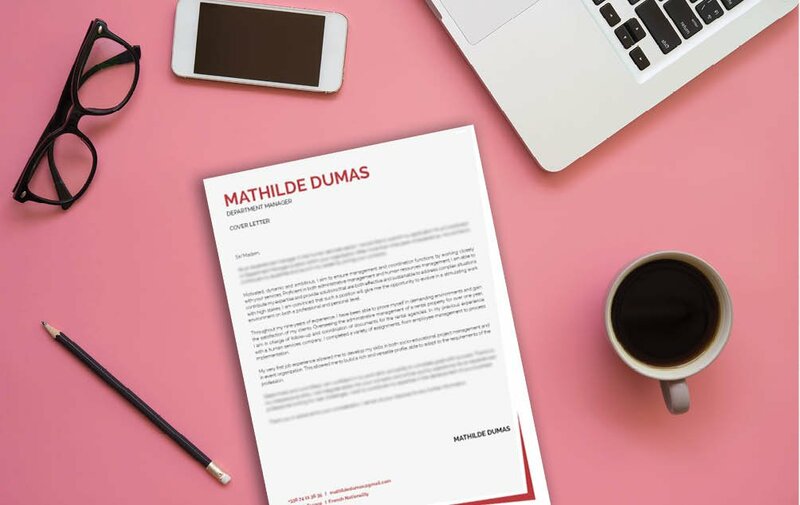 This modern CV template features a smart selection of colors, shapes, and styles that form a Cover letter format that clearly presents all your objectives for the job as well as your experience and skills. This makes this cover letter a great fit for any type of job—so if you're applying for a department manager—rest assured, this cover letter will do the trick and help you land that position! One of the major factors that make a cover letter good or even perfect is by having a clear and comprehensive cover letter design. But how can you create such a design? That's easy, just select a professional looking font such as Calibri or Helvetica, choose a font size between 11 and 12, and selectively apply bold/italic font styles to guide your reader along with your cover letter. 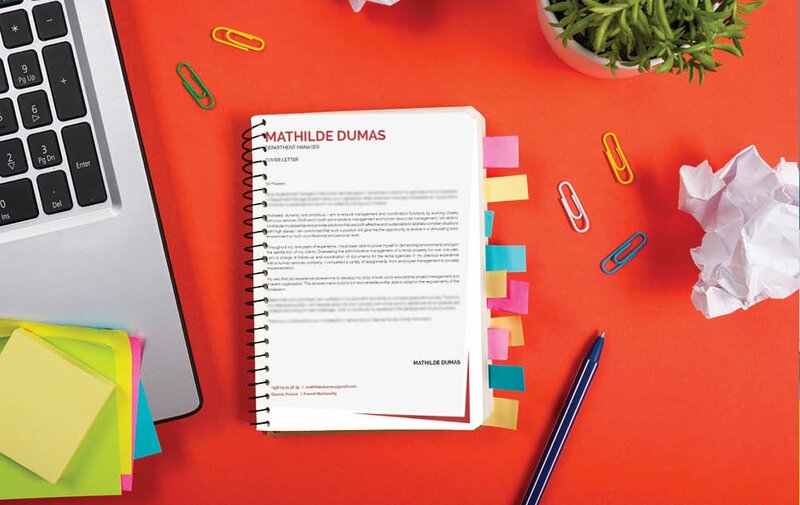 Make good use of graphics and symbols to give emphasis to the key parts of your cover letter. Lastly, make sure to create a logical format for your cover letter by using wide-margins, headings, and subheadings.